When is it a disorder? Why don’t people get help? Increasing prevalence in children and adolescents. Anxiety disorders affect over 3 million people in Canada. Anxiety and depression are the most common mental illnesses in the country. However, less than 50% of people with the condition receive treatment. Anxiety is a natural human reaction to stressful situations, but becomes a condition when it frequently occurs without a trigger. Phobia: This is an irrational fear and avoidance of an object or situation. Social anxiety disorder: This is a fear of being negatively judged by others in social situations or a fear of public embarrassment. Obsessive-compulsive disorder (OCD): This is an anxiety disorder characterized by thoughts or actions that are repetitive, distressing, and intrusive. OCD sufferers usually know that their compulsions are unreasonable or irrational, but they serve to alleviate their anxiety. Mental health issues exist on a continuum/spectrum. Everyone experiences anxiety and sadness from time to time. It is normal and sometimes adaptive (some anxiety before a race or test). 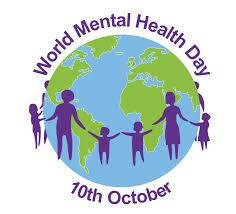 It is difficult to get mental health services. CLSC is the guichet d’access for mental health services but it takes time. ER for emergencies.